Premier League side Ulinzi Stars were lucky to escape the wrath of lower tier league side Nzoia United as they squeezed through with post match penalties victory to qualify for the semi finals of the GOTV Shield Cup at the Kisumu Municipal Stadium on Saturday. The two teams played to a one all draw in regulation time forcing the match to be decided on penalties with Ulinzi winning 4-2. Nzoia United, who knocked Gor Mahia out of the championship, came to this match with all the confidence of giant slayers. 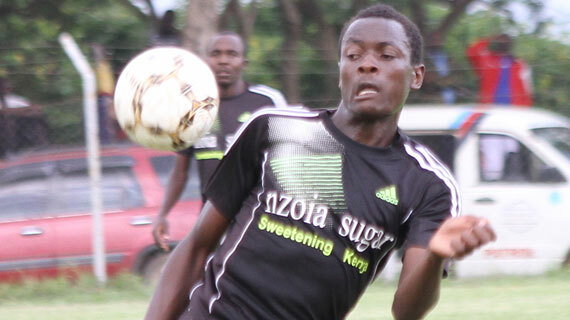 Lawrence Juma netted Nzoia's opening goal in the 30th minute pouncing on a loose ball in the danger area to beat Ulinzi custodian James Saruni for the lead. John Mark Makwata would then level the scores for the soldiers rising above the defense line to head home the equalizer in a match that ended 1-1 despite end to end action with missed chances from either side. In other matches also played on Saturday, Posta Rangers advanced to the third round of the competition with a 5-4 post match penalties win over Ushuru at the Nyayo stadium.